My my, what convenient timing! It was only a few weeks ago at Comic-Con that we got confirmation of Robbie Reyes, the second Ghost Rider, heading to the next season of Agents of SHIELD. Well, to capitalize on the sudden awareness of this take on the character, Marvel is giving Robbie his own comic again. 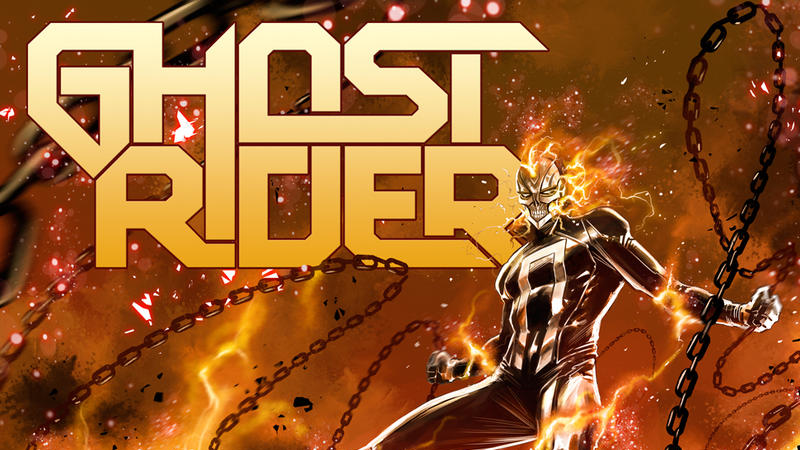 Revealed by TV Guide today, Ghost Rider will mark the first time Robbie’s had a major role in the comics since his All-New Ghost Rider series finished last year. Written by Reyes’ co-creator Felipe Smith with art by Danilo Beyruth (and back up stories from Reyes’ other creator, Trad Moore), the series will follow Robbie on his quest to clean up the streets of LA—but will also see him occasionally team up with current Hulk, Amadeus Cho and the Wolverine, Laura Kinney. The timing, according to Marvel EIC Axel Alonso, between the book and Robbie’s arrival on TV later this year is merely coincidental. But if you’re intrigued by the take on Ghost Rider you’ll see alongside Agent Coulson and friends later this year, at least there’ll be a new book to pick up to see even more stories with the character. Ghost Rider #1 hits shelves in November.